I’m so grateful that you’re here and welcome to my online hub! This site is a safe and creative space for all of you lady leaders and entrepreneurs in the house. Whether you’re rocking a creative or holistic business, leading a team of folks at the office, or are a teacher, mentor or the CEO of your household, this supportive community is here for you. And, as a result, many of us are finding ourselves at the brink of burnout, with seemingly never-ending to-do lists – disconnected from our bodies, our femininity, our creativity and what truly brings us JOY. Believe me, I get it. Not too long ago, I found myself burning the candle at both ends – busting my buns to start a new online business, working 12+ hours a day and disconnected from what made me feel most alive, joyful, and like myself – MY CREATIVE EXPRESSION. You see, I grew up in an artistic household in the Midwest. My mama was my dance teacher and my dad was my theater director – creativity and self-expression is in my blood. I went on to Major in Dance, and teach, choreograph and dance professionally across the US for 10 years. But when I transitioned my 10-year massage therapy practice (which funded my dance career) into building my coaching business, I stopped dancing cold turkey. I equated success in this new career with hours upon hours of disciplined work and thought I had to sacrifice doing what I loved in order to achieve my dreams. During this period, I found myself in that strange paradox of feeling completely isolated in the big city – glued to my computer screen and not spending time outdoors, moving my body, igniting my creativity, or replenishing my reserves. A few years into my dance sabbatical, I realized that I’d cut myself off from my LIFELINE. And I finally realized that in actuality, this was SLOWING DOWN the growth and flow of my business – because I wasn’t running it from a place of alignment with my core values and how I wanted to FEEL on a daily basis. And that’s my wish and prayer for you too. I believe that as women continue to RISE, we’re being called to BE the living and breathing example of what we’re taking a strong stand for in this life. And I believe it’s through walking our talk, leading from that which brings us joy, and cultivating a more feminine approach to our leadership (balancing out action-taking with the feminine art of receiving), that we’ll find ourselves RISING with sustainability and making a positive and graceful impact in the world. The truth is that this life isn’t a dress rehearsal. The time is NOW to live a life of pleasure, freedom, balance and joy – and to create a greater positive impact while on the soul-stirring road. If you’re digging what I’m throwing down and you share this vision with me, I invite you to come along for the wild ride! I come from a strong lineage of entrepreneurial women – my mom was my dance teacher who ran her dance studio for over 20 years, and my grandmother ran one of the first female optometry practices in the US – entrepreneurship is also in my blood! Consequently, I’ve been an entrepreneur my entire adult life – I taught dance and ran a dance company in my early to late 20’s, ran a 10 year massage therapy practice mid 20’s-30’s, and a now rocking an 8 year strong women's circle/retreat/coaching business. I’m married to a super sweet man, Dave - a highly gifted handyman/woodworker who built me my most favorite gift that I’ve ever received - my outdoor bath tub that I live in part time…it’s sublime. I’m originally from a sweet little Midwestern town on the Mississippi River called Quincy, IL - moved cross-country to San Francisco from Chicago 13 years ago, and 3 years ago to the charming town of Petaluma, where I live on 22 acres of expansive Sonoma County land and lead my retreats…Dave and I LOVE it here! My parents were both teachers in Midwest – our summertime road trips while I was growing up led me to having visited 41 states. My pop used to take me to the Farmers’ Market in Quincy as a little girl, (before they were all the rage) and grew up cooking, gardening and watching back-to-back cooking shows with him. Dave and I are total garden geeks - we just doubled our garden size and grow the majority of the produce we consume from it. We’re hoping to start up a cut flower garden soon too, and love playing in the dirt! When I was 29 I was diagnosed with hereditary Gallbladder Disease – I had 7 severe attacks that year and was on the table at SF General to get my GB removed only to have a change of heart. I jumped off the table and decided to heal my organ with diet and lifestyle shifts – which was the catalyst to enroll in Health Coaching School at IIN, and how I got introduced to the world of coaching. I nearly received a minor in International Arts in college – extensively studying Afro-Brazilian and Afro-Caribbean Dance, the traditional dance and music of Zimbabwe and India, Ethnomusicology and Cultural Anthropology – I’m fascinated with the wisdom of indigenous cultures, and that ancient knowledge is what fuels the Strong Body Love Method. Led Zeppelin = fave band of all time – Robert Plant will forever have my heart. I grew up dancing under the direction of my mother, acting under the direction of my father, and was the president of my High School choir - creativity runs through my veins. I’m a hat junkie, and have been rocking sweet brims since I was a wee one…don’t know what it is about 'em, but they seem to stick to me like glue. On my days off you can find me in my old school kitchen whipping up infused oils and salves, homemade body lotion, infused honey and herbal teas – I LOVE herbal medicine making, and think that plants are the most intelligent beings on the planet. 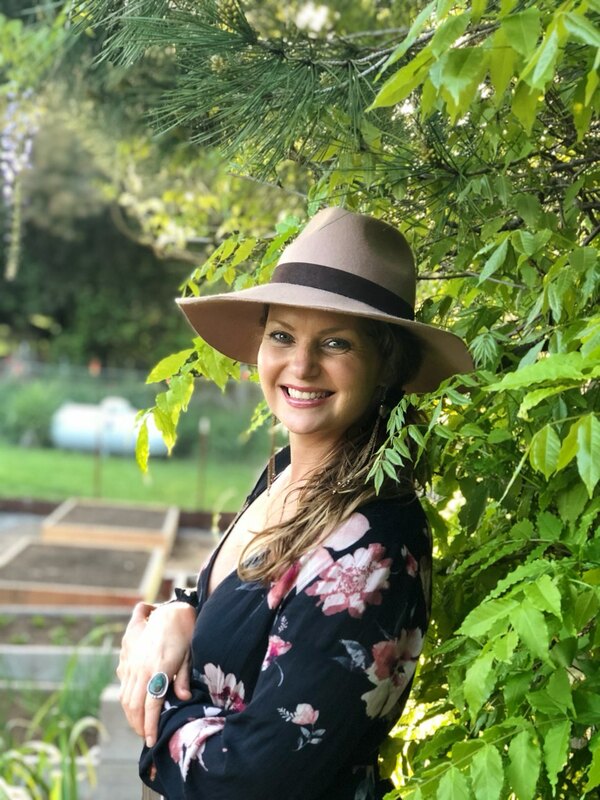 Women’s leadership coach, dancer, women’s circle + retreat facilitator and earth-based ritualist, Ashley Burnett is committed to helping change-making entrepreneurs and leaders align their core-values with their vision, become more impactful leaders, and embody their missions in life, with confidence. 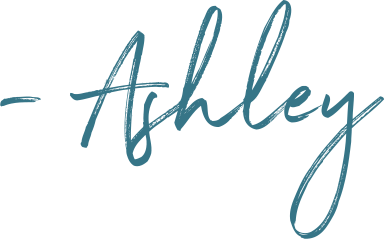 Ashley has been teaching, leading groups and running her business for 16 years. She’s facilitated hundreds of classes, workshops, events and retreats, and led thousands around the globe in expanding their businesses and igniting their leadership. She lives in the San Francisco Bay Area with her husband David, and has the honor of running her retreats at her workshop space on 22 acres of expansive land. Visit www.strongbodylove.com to learn more.